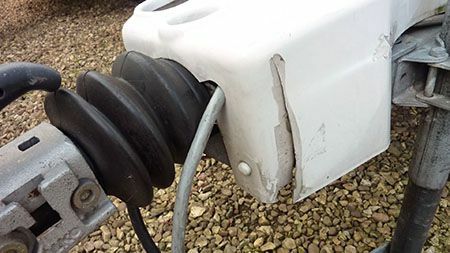 How would you describe the condition of your caravan? Good? Better than that? And, just as importantly, how do others see it? Those quirky little additions, or minor repairs to items that were “going to be fixed properly” one day could mark your ‘van down in price when it comes to trade-in time. To be fair, most of us view our own caravans through the rosiest of tinted glasses… and might not necessarily notice how things slip a bit over time. But, imagine going to view a secondhand caravan on a dealer’s forecourt and you found scratched and dented bodywork, cracked light lenses, a kitchen or washroom tap held together with tape, shower tray cracked and dirty, damaged rear panel, cracked A-frame or an obviously used cooker (hob, oven and/or grill)? Would you walk away? All such items are usually pretty well-remedied, but it’s amazing how many folk are happy to offer their ‘van to dealers with such obvious defects… and are genuinely surprised when told it’s affected its value. 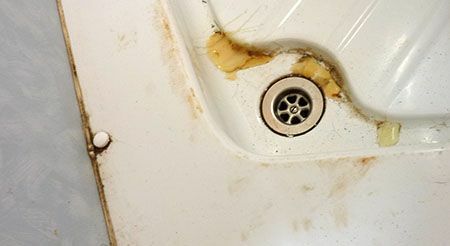 As a very rough guide, replacing a shower tray can cost in the region of £500. Replacing an A-frame? £360. Over £100 isn’t uncommon for a new mixer tap. And, as for bodywork damage, a new rear panel can be in the region of £1,500, while repairs can be anything from £300. So, maintaining your tourer in tip-top condition isn’t necessarily going to be cheap. But it could be worthwhile. As well as the above, have a look at your ‘van and see if it has any of the following: ripped upholstery, buttons missing, frayed carpet, infill tape hanging out, broken window catches, mouldy fridge, toilet cassette not emptied, bald and/or over-age tyres, missing hub caps, bent corner steadies, smashed sky light, stained mattress, broken cupboard hinges, sliding bedroom door hanging off, keys missing… OK, these things happen. But, they’re exactly the sort of things that need sorting if you’re looking to present your tourer in the best possible light. Follow our handy tips and advice below and, not only will you optimise your enjoyment of your caravan, you’ll also feel the benefit of a better price when it comes to selling it on. It’s not just about getting the best possible price, either. More important is that the two sides come away happy from any deal – whether you sell privately or to a dealer. Offering your ‘van unseen as part-exchange against a brand new ‘van? That’s not an untypical scenario bearing in mind the popularity of exhibitions like October’s Motorhome and Caravan Show at Birmingham’s NEC, the annual showcase for band new caravans for the year ahead. But, such deals aren’t always as cut and dried as you think. Any deal that involves trading in a pre-owned caravan “unseen” can be fraught, until the dealer actually gets to see the ‘van. That “show offer” will be tempting, but it can end up being more expensive than you first think. Bear in mind, also, the Consumer Rights Act 2015 comes into effect from this October. This sets out to make consumer law easier to understand, so consumers can buy and businesses can sell in confidence, with each party knowing where they stand. It actually brings together some 12 current pieces of consumer-related legislation (including the Sale of Goods Act and Supply of Goods and Services Act), as well as introducing a range of new rights for consumers, and new obligations for companies. Proper servicing as well as regular cleaning and polishing are key to keeping on top of things. There are also simpler maintenance tasks you can perform on a regular basis, for example greasing the overrun assembly and corner steadies. 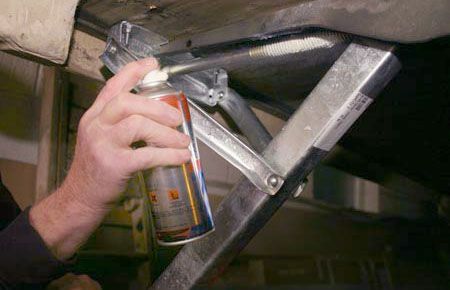 A silicon spray can work wonders in terms of making keys easier to use and keeping hinges (internal and external) squeak-free and smoother moving. Use sparingly. 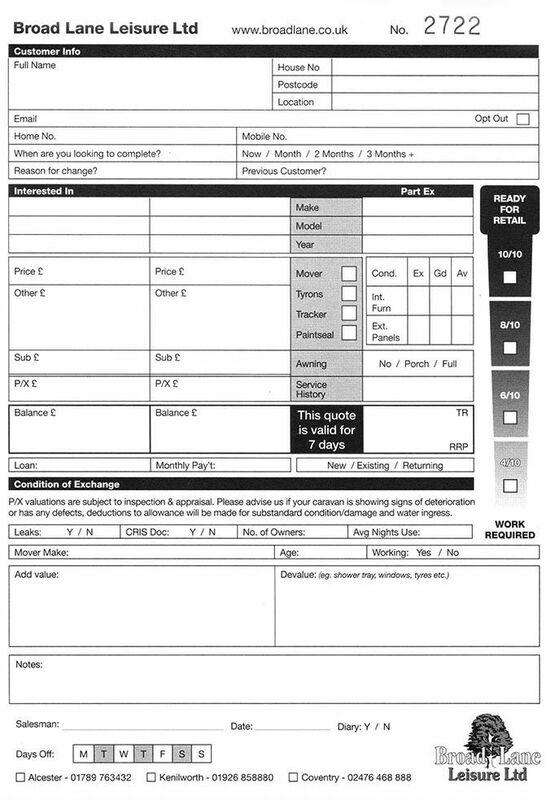 A good service record helps no end and will prevent serious issues emerging with the biggest part exchange value changer of the lot – damp. Age matters to a dealer considering a part-exchange. Thereafter, there are just three factors – condition, condition, condition! Any caravan that lives the touring life is going to pick up a few scratches, at least, along the way. The trick is to organise any repair work as soon as possible. 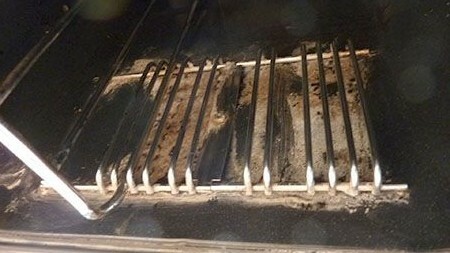 Of course, we all know leaving the fridge door ajar when not in use can prevent the build-up of mould and smell by just allowing an essential bit of ventilation. But, there’s more you can do. Simple tasks to give your caravan a spruce up include, for example, replacing carpets, shower curtain, scatter cushions etc. 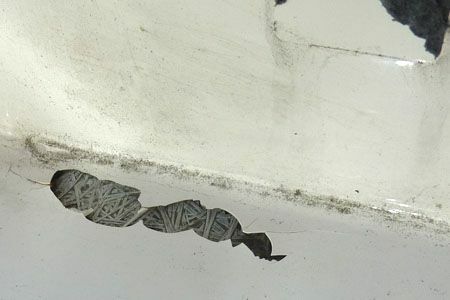 Shower curtains, especially, can attract mould. It’s easy enough to whip them off, run them through a machine wash and re-treat them. If they’re still bad, get a replacement. 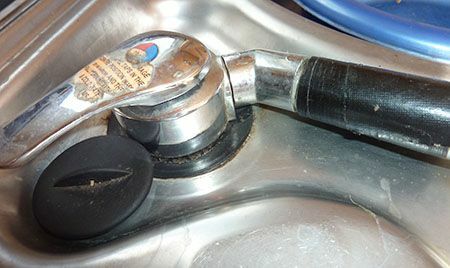 Plenty of good old fashioned elbow grease will certainly help when it comes to keeping your caravan spick and span. But, there are plenty of tricks you can employ. For instance, use diluted Flash (or similar) to gently wash the ceiling, wallboards and under the bed lockers – it works a treat! Your local carpet shop may well be happy to provide you with replacement flooring, cut to fit and finished properly. When it comes to upholstery, it’s another matter. This is one of the most expensive items of any caravan to replace – replacement may be better left as a decision for your dealer to make when taking your ‘van in from you. Also, your choice of a new interior look might not chime with the next buyer’s. Original is usually best in these circumstances. Dealers have good noses. They can smell damp in a caravan from a mile off! It’s an early indicator that a ‘van has suffered from some level of water ingress. Next, any hint of cigarette smoke is another instant turn-off. As are pets. Chances are, you probably don’t even notice your own ‘van is a bit whiffy. If you’ve got a stinking ‘van, pop down to your local car parts wholesaler and buy an air freshening smoke bomb (alternatively, ask the dealer who sold you your caravan about such treatments). 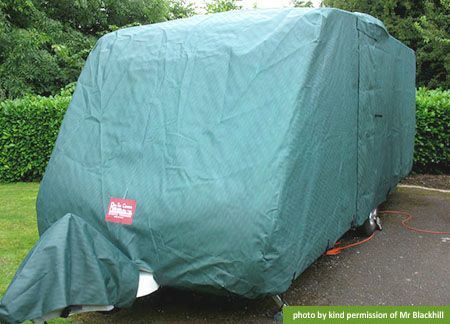 Using covers whilst in storage will prevent damage to the exterior (from tree sap, for instance). 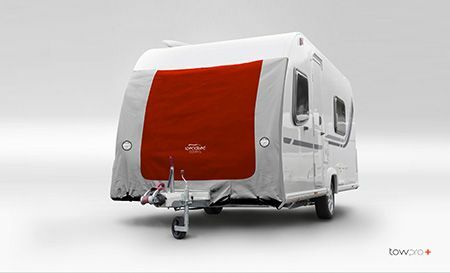 But, do invest in a caravan cover worthy of the name. The best are breathable as well as weatherproof, and they have a softer inner lining that won’t scratch the bodywork as part of its inevitable movement. Whether you use a cover or not, do also consider adding an overwintering treatment when you’re storing your ‘van for a long period. And don’t forget the roof. Using towing covers whilst in transit will avoid front end stone chips, another possible ‘van devaluer. Most added extras (even TV and stereo systems) won’t do much to advance the price of your tourer at trade-in time, although don’t let that put you off using them to optimise your enjoyment of your unit. Some, however, add a premium. Like Tyron Safety Bands, movers, tracking devices and exterior treatments such as Paintseal and Glamour Shield that add a protective veneer to your paintwork. Keeping good records of service history and any remedial work is always helpful, starting with proof of ownership. Also, keep receipts for any additional equipment fitted, as above. Note, also, for late models there must be a manufacturer-recognised service history for any continued warranty to be valid. 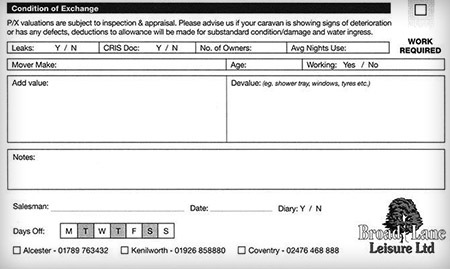 A proper service record will also help a dealer ascertain that a caravan has been cared for and most issues like tyre deterioration, brake wear, appliance faults and other items have been dealt with over time. Dealers will prefer not to have to factor in repair costs as part of a part-exchange valuation. The best way to buy your next caravan? Present your part-exchange honestly, maybe even take it to a couple of local dealers for a true valuation, starting with the dealer that’s regularly serviced your unit (if that’s the case). And, as ever, buy locally. In the longer run, even what looks like a price that could be a few hundred pounds in your favour will soon be whittled away once you realise the extra miles you might need to travel for repairs and servicing. Also, be prepared to answer questions about your ‘van from any dealer who’s looking to buy it. In fact, the more questions, the better. A good dealer will know exactly the right questions to ask. And finally, don’t worry. Far more important is you get the best possible enjoyment during your time with your caravan. “Unfortunately though, almost every dealer in the country, oblivious of what the caravan looks like and how it has been cared for, works to the Glass’s Guide trade value combined with a percentage of the margin they wish to give away out of the new purchase. Sadly, this usually ends up with a fairly regular formula to create a part-exchange value, which can be gained essentially without establishing true/real condition and value. Dealers like us ask questions. We work very hard to establish a real value by understanding exactly what the customer is selling us. caravan, awning, accessories and equipment etc, establishing service history and condition and allowing customers to share how they have cherished and cared for their pride and joy. It is also highly recommended to have the part-exchange appraised in advance of collection. Avondale have not traded for around 9 years and I know having just traded in an Avondale Landranger that it is impossible to get spare parts peculiar to that manufacturer. This may have affected the valuation. My last caravan I part exchanged was an immaculate Avondale with a host of extras which had been fitted,including a solar panel. Arthur, that’s a shame. It does look like a dealer such as Broad Lane would ‘add value’ for certain features. Better luck when it comes to trading in your next caravan.